Burglary is one of the most common crimes in the country. Though the actual crime tends to only last fora couple of minutes, the effect of the invasion of privacy can last much longer. While criminals are going to be criminals regardless, there is a way to prepare yourself, your home and your valuables in a way that will deter them from burglarizing your home. 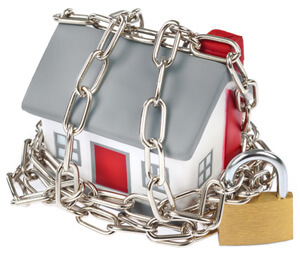 In this article you will learn what to do to burglar proof your home and protect your material possessions as well as your sense of security. What Are Burglars Looking For? Criminals, especially burglars, are complete opportunists that act on impulse and lack of preparation of others. It is important that you do not leave things out, or in plain site, because you never know when a burglar is around. This can be achieved mostly through these of common sense. Don’t leave your doors unlocked or money on your front seat and you are not enticing criminals as much. However, there are more proactive steps you can take, which you will learn in this article. For instance, did you know that a doggy door is a clear indication that you do not have an alarm set on the house? These are the types of clues that burglars pick up on, so you have to be aware and attempt to think like a criminal in the process of protecting your home. How Can I Burglar Proof My Home? There are some very basic rules that can help deter criminals from burglarizing your home, and in the awful case that they do enter your house, protect your things as effectively as possible. For starters, you should view the front of your home as if it were not yours. What can you see from the front of your home? If there is a big window, it is best to make your front room a sitting room, rather than a living room equipped with all of your electronics – television, speakers, video game consoles, etc. Furthermore, you don’t want to make it a habit to leave your mobile devices, such as cellular phones and iPads, within view from your front window. Studies have shown that burglars operate on a very predictable strategy. They first look for an easy entrance, whether it is your front door, back door or window. If you securely lock all of your entrance points, it is likely to deter a burglar all together. Another simple deterrent is a home security system, or even a sticker from a home security company to make it appear that you have a system. Once burglars are in your home they tend to look for certain items in the most common areas. The master bedroom tends to be the most common place to hide jewelry and other valuables, so burglars will often go straight to the bedroom when entering the home. For this reason, it is best to put your most valuable possessions outside of your bedroom. The difference between losing a few replaceable electronic items and pocket change to being stripped of irreplaceable family heirlooms and large amounts of emergency money can be saved from a home safe. 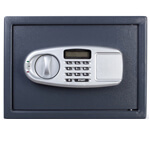 Burglars tend to leave home safes alone due to their short time frame and desire for the easiest targets. 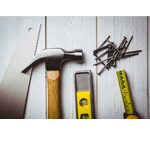 To ensure your home safe is as effective as possible, make sure that it is properly installed for maximum security, or that it is too heavy to be carried away. The best place to install your home safe, though not the most popular place, is the attic. Many people refrain from installing their safe in the attic due to the difficulty of accessibility. This is the reason it is the best hiding spot from burglars. Criminals do not want to go through the trouble or be placed in an area of the home that does not have an easy exit route. I never really thought about how the simple presence of a safe makes it less likely to be targeted by a burglar. I guess it makes sense since burglars want to get in and out as quick as possible. I think I’ll look into getting a safe seeing as it really seems like effective way to keep my valuables away from potential burglars. Thanks for sharing this article!